Newport Glass is RI’s glass solution source. Frameless shower doors, tabletops, glass railings…these are just a few of the many glass-related products provided to Rhode Island by Newport Glass. Family-owned for more than fifty years, Newport Glass can cover all of your residential and commercial glass requirements. In addition, we provide windshield replacement and auto glass repair. If you’re looking for new windows or mirrors for your home’s renovation or just need a repair after the neighbors’ kids sent an errant baseball in the direction of your skylight, Newport Glass can fulfill your needs. Glass shower doors are a great way to improve your bathroom’s aesthetic. Not only are they beautiful, they’re functional too. We provide a huge range of custom-built framed, semi-frameless and frameless shower doors. Our technicians will take measurements of your shower, then help you decide which shower enclosure is the best for your needs. Glass provides all sorts of beauty and functionality for the buildings of companies and institutions. We install your custom glasswork or provide repairs as necessary. No job is too big. Modern auto glass is pretty tough, but sometimes the objects flying around Rhode Island’s roads are tougher. Have no fear, we’ll get your windshield fixed in a jiffy. 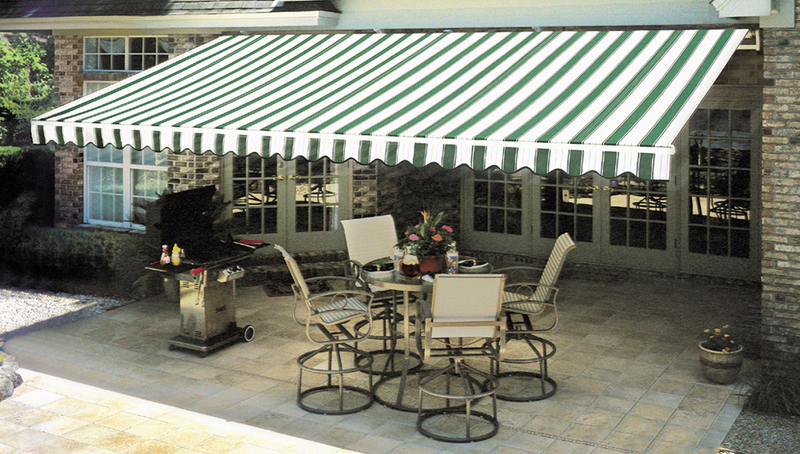 Awnings Rhode Island is our retractable awnings subsidiary. You can give us a call at (401)847-2333 from 9am-4pm Mon-Fri or leave us a message in this contact form. We’re right next to Bridge Liquors at the foot of the Newport Bridge.